We normally have a Dinner for our May Cultural Evening to mark the end of our academic year and this year it is a very special one. For this year we are celebrating 70 years of Alliance Francaise activities in Kilkenny. To mark this occasion we are having a gala evening in the River Court Hotel, John St., Kilkenny on Saturday 19th May 2018. Your evening will begin at 7.00pm with a Cocktail Reception on the Terrace (or the Riverview Bistro), overlooking the iconic Kilkenny Castle, we then adjourn to the Pembroke Suite for a delightful four course dinner. 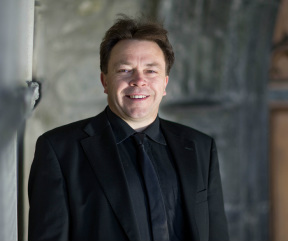 We follow that with entertainment from the famous Irish Tenor Patrick Rafter who with his wife and accompanist Maura will provide an experience of French Arias and Songs. 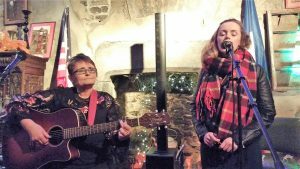 Then it will be music in the Irish Tradition from Na Gerailtig featuring Mary Fitzgerald (Vocals and Guitar) and Áine Fitzgerald (Vocals, Concertina and Tin Whistle). It promises to be a memorable evening of good company, fine food and superb entertainment . The Dress Code is “Cocktail”, and the cost a mere bagatelle at €40. Tell us that you will be there along with your partners or guests to celebrate 70 years of the Alliance Francaise in Kilkenny. Let us know by 1st May, we need to know the numbers!